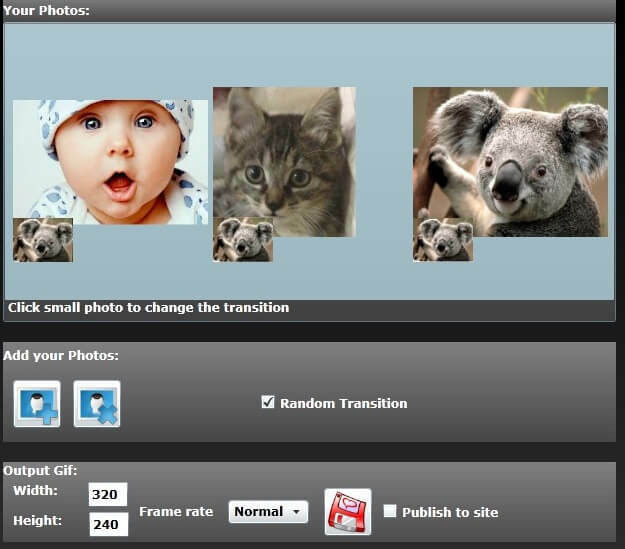 Convert your Photo to animated GIF with various transition effects. Create Animiated banner or photo with your website or blog. Convert your Photo to animated GIF with various transition effects. Support Face in , Wheel, Zoom transition and more transitions.